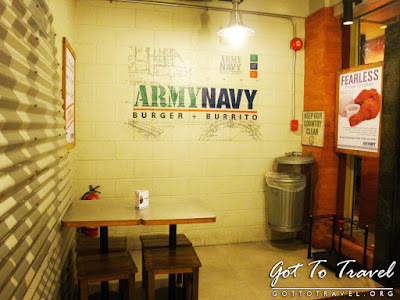 Army Navy Burger + Burrito is another burger joint that would satisfy people that have burger cravings. 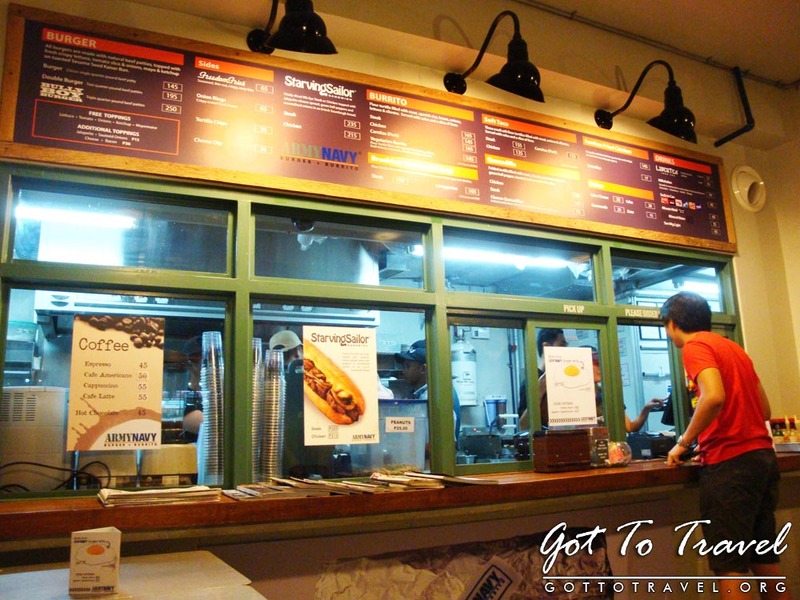 It is fast becoming a famous established burger joint in Metro Manila with 15 branches opened and more coming soon. 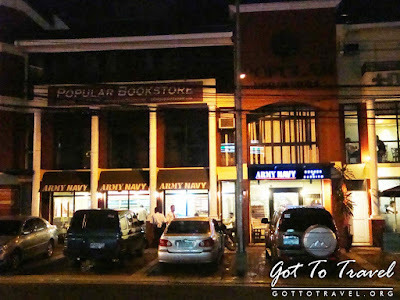 We went to one of its branches in Tomas Morato beside the Popular Bookstore. It's spacious and has tables outside for smokers. The place is well lighted so you won't miss it. 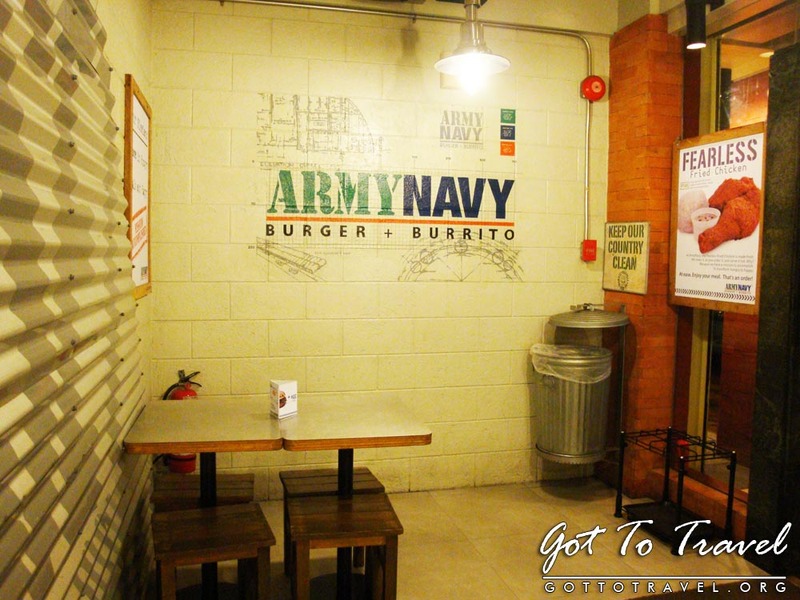 The interior as you would expect is designed to look like an army barracks. 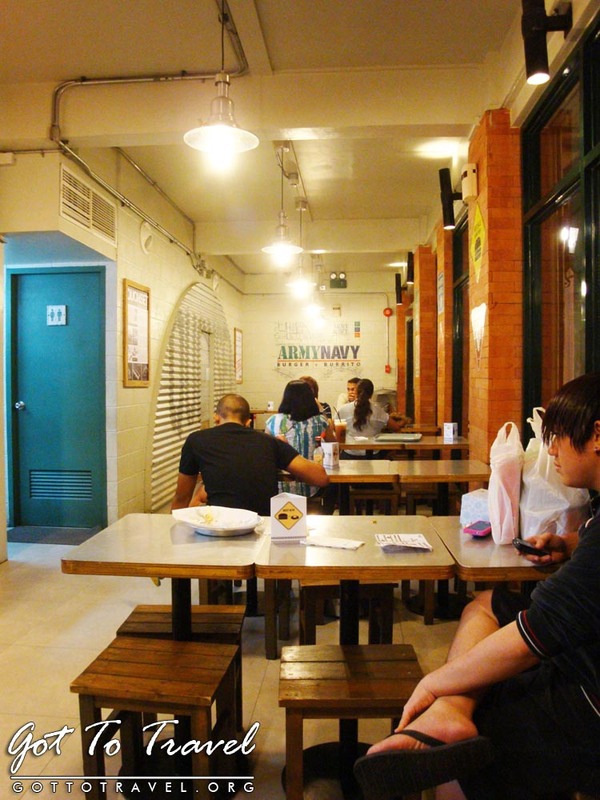 Adding an army feel to it is the metal tables and those square chairs where you don't have nothing to lean on. 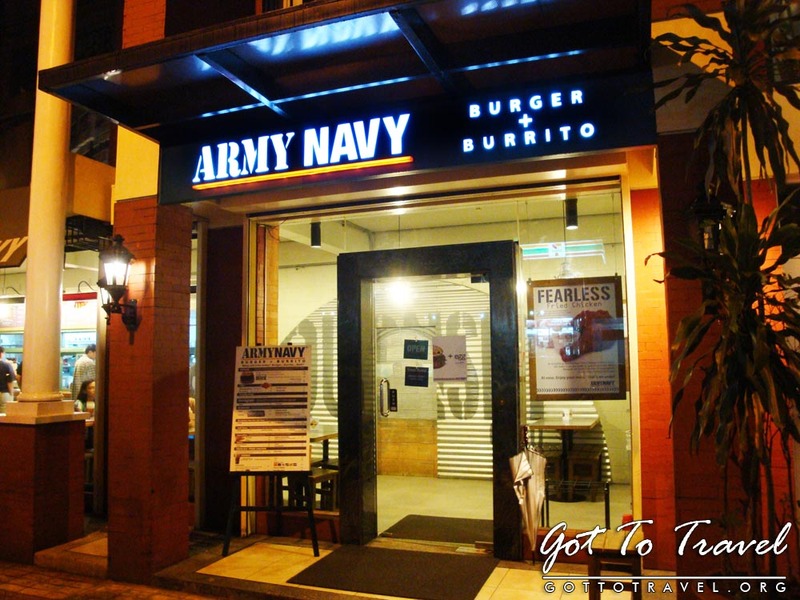 Seat up straight and eat like a soldier. They have a self-service system. You order from the counter and they would call your name to pick up your food. It's like ordering coffee from Starbucks. I ordered their regular burger plus fries. Army Navy also has burritos and fried chicken. Army Navy don't seem to mind spending extra bucks to wrap their juicy burgers with foil. 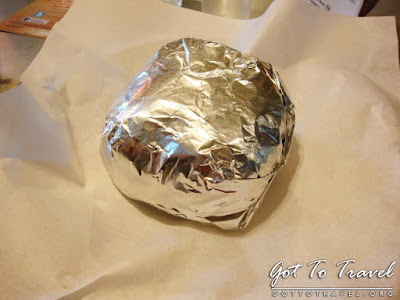 Nowadays there are few burger joints who use foil because its costly. Foil would help preserve the freshness of the burger specially for take outs or ordered by phone. Look at those buns. 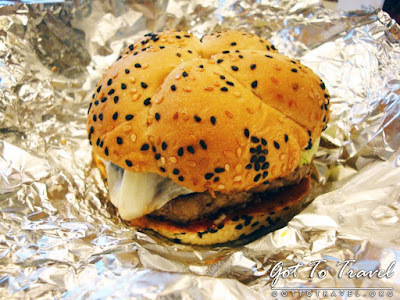 Very unique and I love their taste, matches perfectly with the burger. 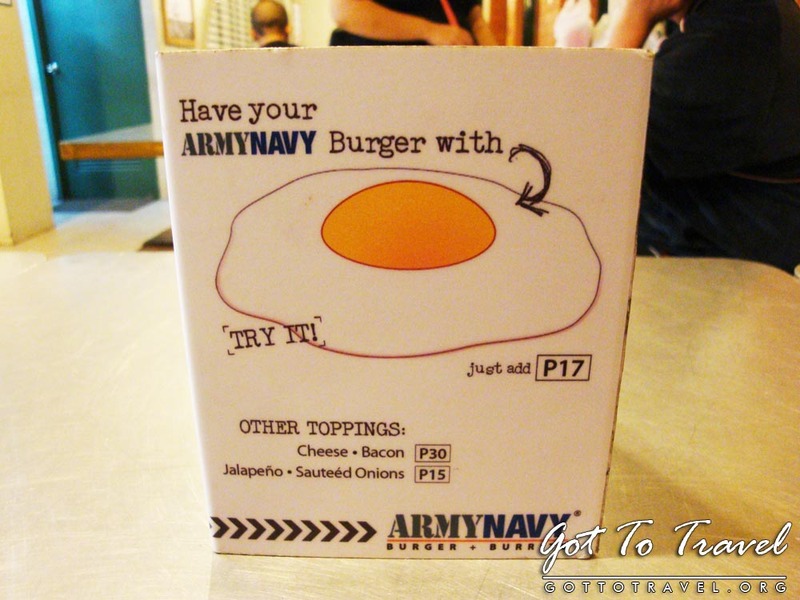 If you look inside the army navy regular burger, you'll see big onion rings which tastes great with those juicy grilled burgers. 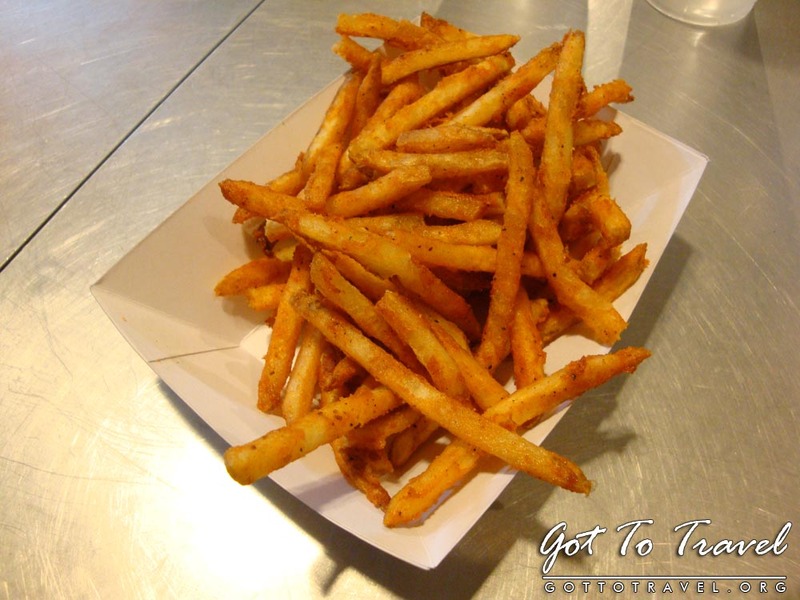 Orange fries usually reminds me of McDonald's Twister Fries. 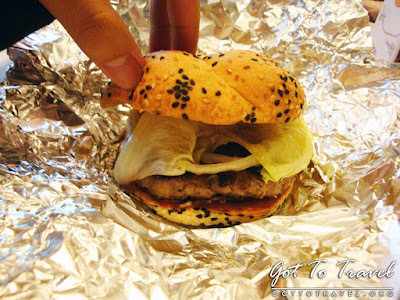 And I was surprised that it does really taste like twister fries. Thin and very crispy or crunchy. Yum! 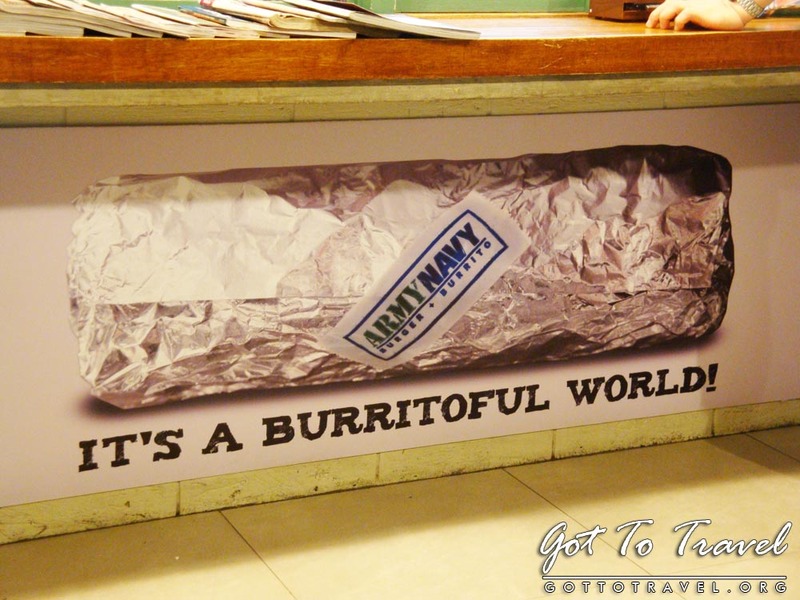 Nice table tops, informative and helpful. Army Navy has a very cool looking delivery bike. 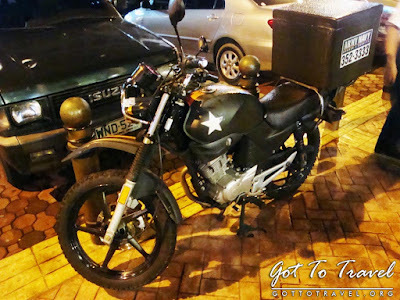 Kinda reminds me of Captain America.